Twice now during Agents of S.H.I.E.L.D. Season 3, we've seen a vision of a big death coming in the future, and with only four episodes left of their “Fallen Agent” arc, we’re getting closer to learning who bites the dust. The show is still playing coy with which member of the S.H.I.E.L.D. team is the victim, but they’re teasing all the potential candidates by paying homage to a classic Spider-Man cover from decades past. 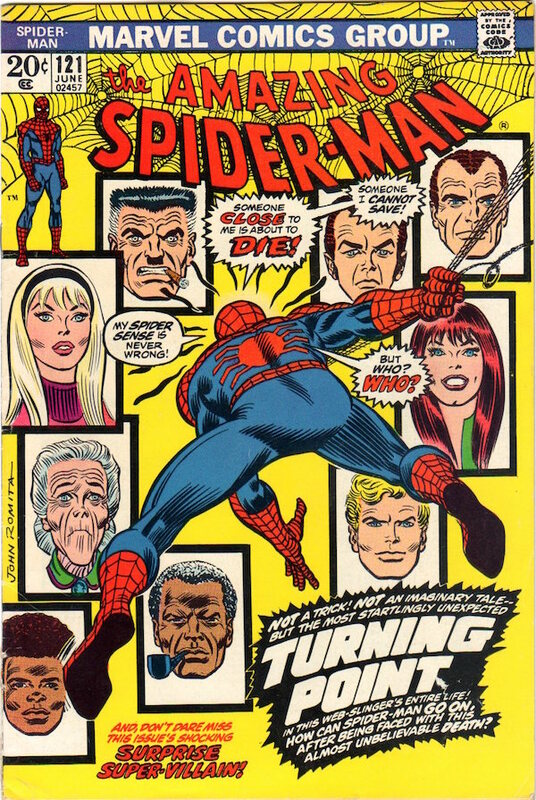 You can head over to the main IGN article to see the full poster, but longtime fans of Spider-Man will recognize this as an homage to 1973’s Amazing Spider-Man #121, which teased that a member of the Web-Slinger’s main cast was going to die at the end (it turned out to be Gwen Stacy). For Agents of S.H.I.E.L.D., Daisy Johnson, a.k.a. Quake, takes Peter Parker’s place, and her loved ones are all the protagonists in the show’s main cast (minus Bobbi Morse and Lance Hunter, who departed recently for Marvel’s Most Wanted), along with new Secret Warriors Joey Gutierrez and Elena Rodriguez. Just like it was with Spider-Man in that issue, this is not a hoax and not an imaginary tale. One of the agents will die before the season is over. This Agents of S.H.I.E.L.D. art will also be available as a rare variant cover for the upcoming Civil War II #0, which arrives in comic book stores on May 18. In the meantime, check out that original Spider-Man cover to compare for yourself. Unless the Terrigen Mist awakened your Inhuman genes and gave you the ability to see into the future, it’s difficult to predict who will die in the coming episodes. Given how Inhumans' visions typically were ones of death, often their own, that might suggest that Daisy herself might die. However, in the vision, Elena’s necklace was seen aboard the spacecraft, so that automatically points towards “Yo-Yo.” Still, we’ve only seen her in two episodes so far, so her death wouldn’t have that much emotional impact. Of the other two Secret Warriors, Lincoln seems the most likeliest. He’s been around since Season 2, and his death would leave Daisy emotionally traumatized. Then we have our human folks. Right away, it’s practically guaranteed that Phil Coulson will survive, since he’s the main character on the show and S.H.I.E.L.D.’s leader. Melinda May also seems unlikely, if only so that viewers could continue to be treated to her badass fighting. Mack’s been around since the beginning of Season 2, so maybe he’s fair game for being taken off the board. Given that this is a Whedon show, we also can’t help worrying that it might be Fitz or Simmons now that they’re full swing into their relationship. Now that they’re happy, that happiness could be snatched away in an instant by eliminating one of them. Now that’s just pure cruelty! We’ll see what Agents of S.H.I.E.L.D. has in store for our main characters as Season 3 winds down Tuesdays at 9 p.m. EST on ABC.